Play It Loud, a new exhibit at the Metropolitan Museum of Art, showcases 130 instruments used by legendary musicians including the Beatles, Jeff Beck, and Eric Clapton. First-of-its-kind exhibit displays 130 instruments used by groundbreaking artists from Chuck Berry to Lady Gaga. 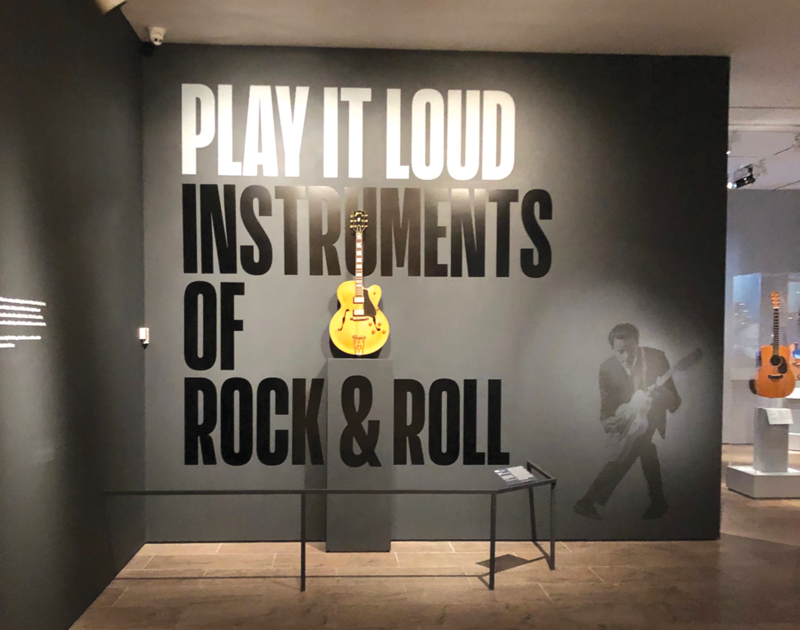 IN A FIRST FOR A MAJOR MUSEUM, New York’s Metropolitan Museum of Art is showcasing a collection of iconic rock ’n’ roll instruments in a new exhibition aptly titled Play It Loud. Co-organized with the Rock & Roll Hall of Fame, the exhibit presents 130 instruments alongside posters and costumes. From Jimmy Page to Steve Miller, the glitterati of rock turned out for the exhibition’s opening bash on April 1. The Roots shook the house with a rousing live performance as the crowd wandered through a sequence of galleries filled with musical instruments that had been graced by the hands of artists spanning the entire rock era—from Chuck Berry, to all four Beatles, to instruments played by contemporary stars such as Lady Gaga and St. Vincent. The show covers the entire span of rock history—Ringo Starr’s Ludwig drumkit from The Ed Sullivan Show, Bob Dylan’s Newport Strat, Jimi Hendrix’s Woodstock Strat, Prince’s Super Bowl 2007 symbol guitar, and full stage rigs from icons including Jimmy Page and Eddie Van Halen. Jeff Beck’s stage rig from the 1966 Yardbirds tour was one of the artifacts on display.